WIN a Trip to the Egyptian Red Sea with King Snefro Fleet. worth over €849! 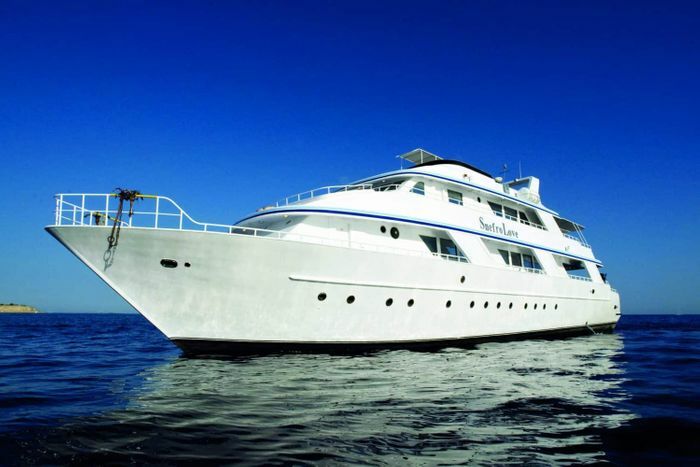 Scuba Diver has teamed up with liveaboard.com to offer one lucky reader the chance to explore some of the Red Sea’s most iconic dive sites. The winner will embark on either a one-week Sinai Classic or a Wreck and Reef safari with King Snefro Fleet. Diving in Egypt is a true underwater paradise; with crystal clear water, abundant marine life, and endless sunshine for surface intervals. It has long been a favourite destination for Europeans and is now visited by divers from all over the world. The Sinai Classic safari, departing from Sharm El Sheikh, explores the best of the Northern Red Sea. This safari visits the beautiful Ras Mohammed National Park and the famous reefs of the Straits of Tiran; Jackson, Thomas, Woodhouse and Gordon. The winner can enjoy the abundant marine life and exceptional hard and soft coral growth in these areas whilst experiencing water visibility of up to 40 meters. As if that weren’t enough, the Sinai Classic will also visit one of the most famous wrecks in the world, the Thistlegorm, and the equally impressive Dunraven wreck. The Wreck and Reef itinerary, also departing from Sharm El Sheikh, will explore the Thistlegorm and Dunraven before crossing the Gulf of Suez to experience Abu Nuhas, also known as the ‘Ships Graveyard’. This submerged reef is famous for its wrecks; the Giannis D, Kimon M, Chrisoula K and Rosalie Moller. It is also home to the oldest shipwreck available to divers in the Red Sea, the 1869 Carnatic. These wrecks offer the chance to experience great macro life, large schools of fish, swim-throughs, and even wreck penetration dives.